During pregnancy and breastfeeding, women must consume 2.3 to 3 litres of water per day to prevent dehydration. Research has shown that although 75%3 of pregnant and breastfeeding women know it is important to keep hydrated, they struggle to drink only water. Many beverages contain high levels of sugar, artificial ingredients or an amount of sodium that may not be appropriate during pregnancy. aquamamma® contains added folic acid, but is low in sugar, low in sodium, low in calories, and uses natural colours and flavours. It provides an alternative to complement a pregnant woman's increased fluid intake during pregnancy and makes it easier to keep up healthy hydration levels. 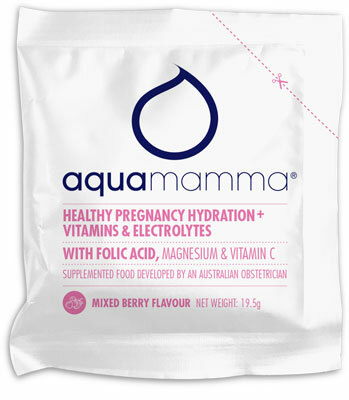 aquamamma® sachets are light and compact, and are quick and easy to mix with water in three delicious flavours: orange, lemon, and mixed berry. Leading lactation consultant and author, Lynne Hall said many Australian mums would appreciate a healthy and convenient alternative to water. "Keeping hydrated is important for everyone, but especially for women who breastfeed, so I encourage them to keep plenty of water next to them each time they breastfeed," Ms Hall said. "Tea, coffee and soft drinks can be dehydrating while an ice cold glass or bottle of aquamamma is a low sugar, caffeine free alternative to water anytime of the day or night." Paediatric nurse Abbey Johnston, who is currently breastfeeding her two-year-old son and two-month-old daughter, first discovered aquamamma® through a family member who works at Mundipharma. 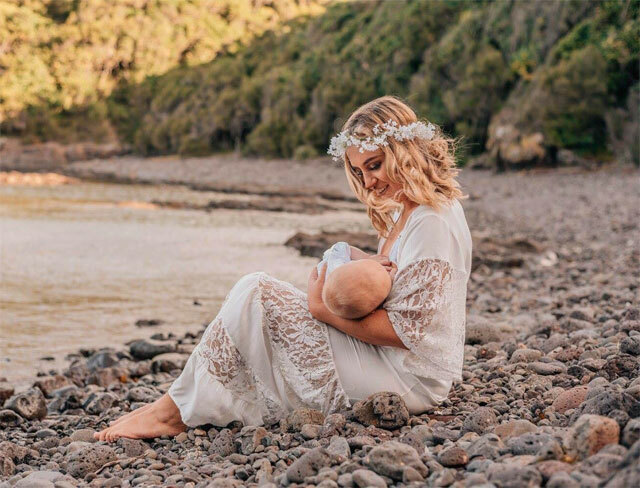 "I was always so thirsty breastfeeding while I was pregnant, and now even more so with two breastfeeding bubs," Ms Johnston said. "Sometimes just the thought of drinking all the water I need to makes me feel sick, but I always love drinking the ready to drink aquamamma®, even when I'm not feeling great. The new Sachets will be handy because I can take them with me wherever I go." 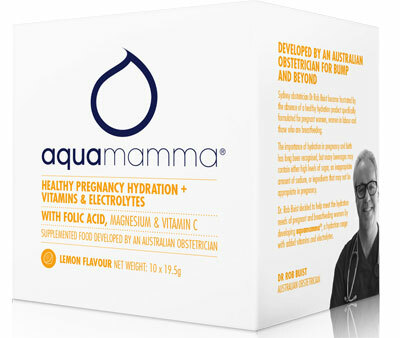 aquamamma® sachets are available for purchase from local pharmacies and Priceline stores nationally, and online at www.aquamamma.com.au. Ready to drink aquamamma® is also available in 450ml and 1L BPA free bottles. Lynne Hall: Aquamamma is a drink specifically designed for pregnant and breastfeeding women and contains folic acid. Question: How does Aquamamma support breastfeeding Mums? Lynne Hall: Aquamamma provides a great addition to drinking water for thirst that is low in sugar, calories and sodium. Question: What are the most common issues breastfeeding Mums experience? Lynne Hall: Mums are generally given a lot of misinformation about breastfeeding. They are told to expect breastfeeding will be painful for the first six weeks, they should time their feeds to be no longer than an hour and that babies feed four hourly, any more frequently means they have a milk supply problem. Question: How can friends and family support breastfeeding Mums? Lynne Hall: Family caring for a new mother should make sure they are eating three low GI meals with two snacks a day and drinking water and fluids for thirst. Cuddling the baby after a feed can help a mother relax so she can get her feet up for a nap twice a day. Cooking and doing household chores for a new mother is an invaluable help. Question: What helpful resources can you suggest for breastfeeding Mums? Lynne Hall: www.LCANZ.org to find an IBCLC Lactation Consultant. Question: What five things should we consider buying a breastfeeding Mum? Question: What advice can you share for women who want to continue to breastfeed whilst returning to the workforce? Lynne Hall: 1. Buy a good pump that allows you to double pump. 2. See an IBCLC to make a workable plan that makes expressing manageable and easy while being able to maintain breastfeeding and juggling home and work. Question: What are the biggest misconceptions new mums have about breastfeeding? Lynne Hall: Believing breastfeeding hurts! If it hurts generally it means the positioning and attachment of the baby at the breast needs to be refined. Thinking a baby who feeds frequently is doing so because mum has an insufficient supply. Breast milk is a high GI food necessary for brain growth. Helping a baby feed effectively is the secret. Question: What advice would you give a new mum regarding breastfeeding? Lynne Hall: Don't put up with pain when breastfeeding and seek help quickly if you have any concerns about your supply or your baby's growth. Just as you would see your doctor quickly if you were worried about your health, see an IBCLC lactation consultant sooner rather than later to get help with your breastfeeding concerns.